Flower FormCamellia-like double blooms with colorful edgings. Soil RequirementsNever let the soil dry out. 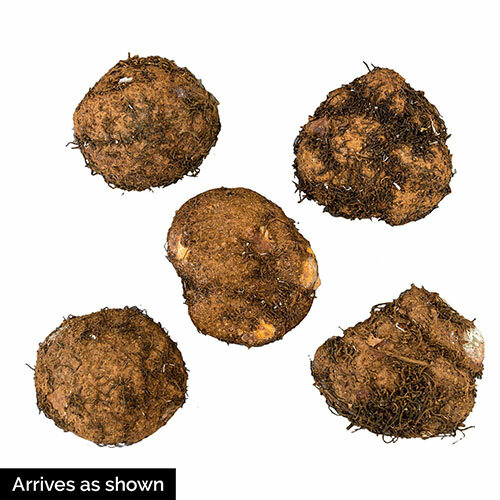 Begonias love moist soil. PruningOld blooms drop off as new ones appear. No need for pruning. Winter CareNot hardy, lift before frost and over winter in a frost free environment. 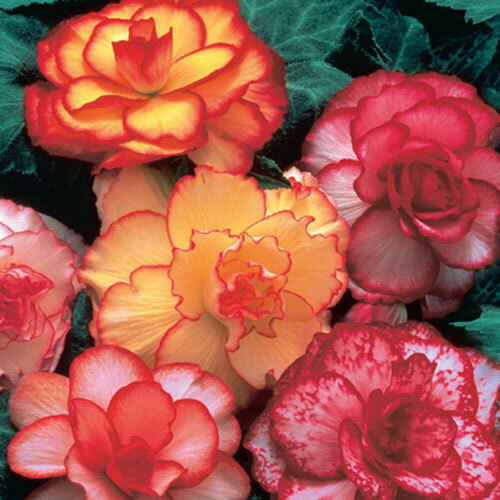 Additional InformationFor early blooming, start Begonias indoors and transplant outdoors when plants are 1-2" high and danger of frost is past. Planting Instructions1-2" deep and 10-12" apart, with hollow side up.